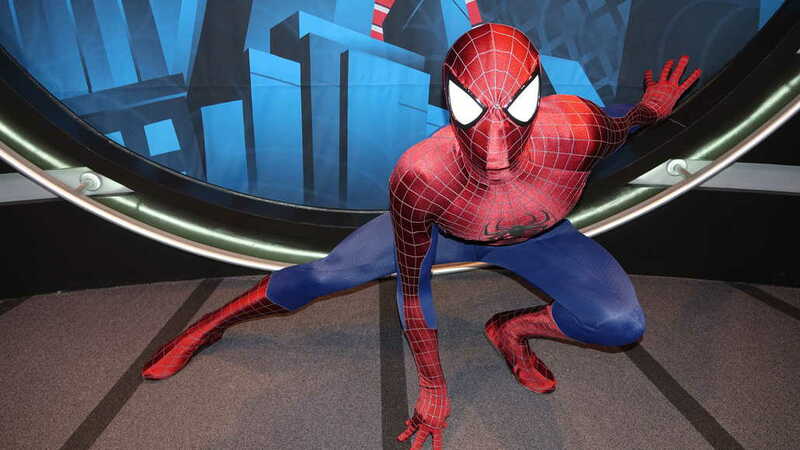 Disneyland and Walt Disney World may seem similar, but they operate very differently and can offer a variety of different characters and costumes. Disneyland does a much better job offering seasonal characters for celebrations like Christmas, Halloween, Chinese New Year and Spring. Walt Disney World tends to provide the same character meets with a few rare ones at Character Palooza or Epcot training meets. 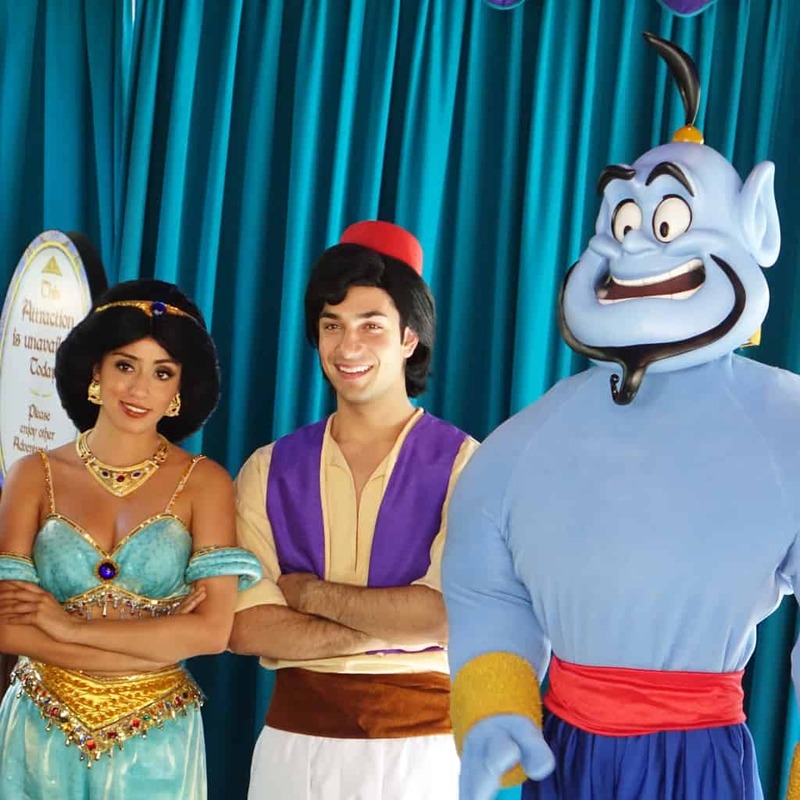 I thought it might be interesting to show which characters offer regular (not seasonal or party) meet and greets that you may see rarely or not at all at Disney World. 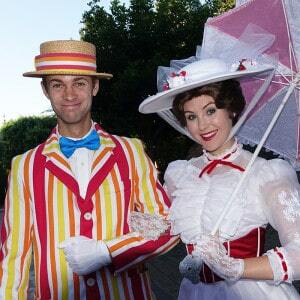 Bert appears daily with Mary Poppins. 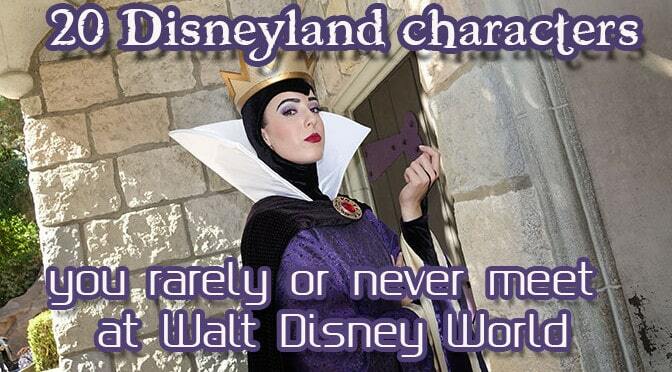 Often you’ll find them strolling through Fantasyland or near the Castle or singing near the piano on Main Street. Bert and Mary Poppins are kind enough to stop for the occasional photo while they are strolling and will invite you to join them. Must be why Bert is so trim. In Disney World, you’ll only find him for the Christmas Party and may rarely appear for Character Palooza. 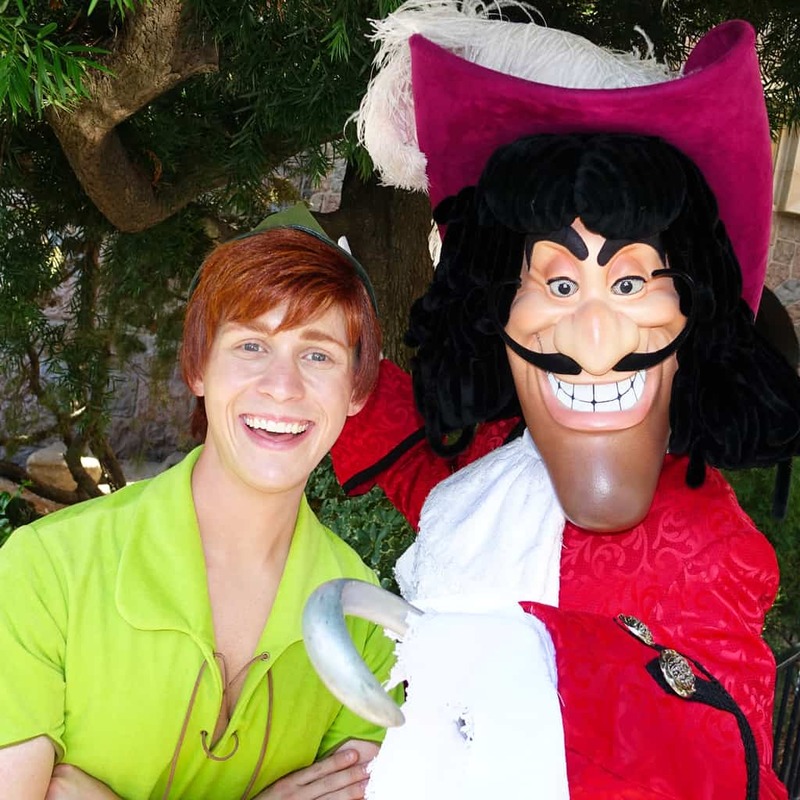 Captain Hook often appears in Fantasyland and many times you’ll see him with Peter Pan! You’d never see them together at Walt Disney World and Hook is usually only found for Epcot training meets and at Pirates and Pals Fireworks Voyage. DJ appears daily for his show DJ’s Dance and Drive and may or may not allow guests to snap photos alone with him. 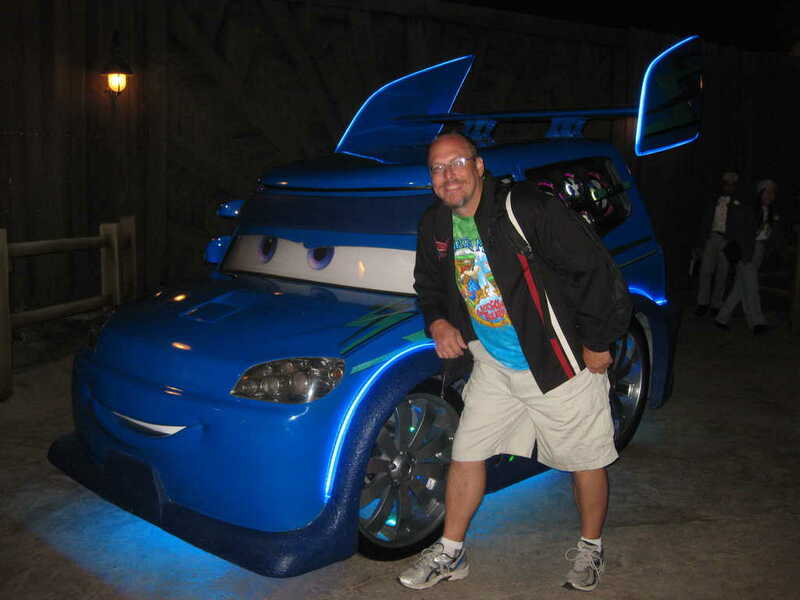 I was fortunate to meet him when Cars Land first opened. 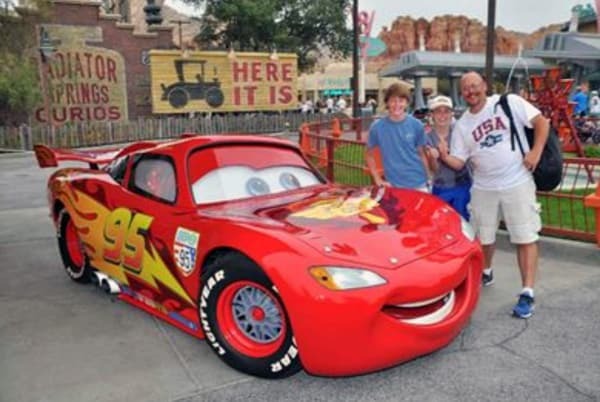 Red, Mater and Lightning tend to rotate in Cars Land. You’ll find them either in front of the Cozy Cone or near Flo’s. 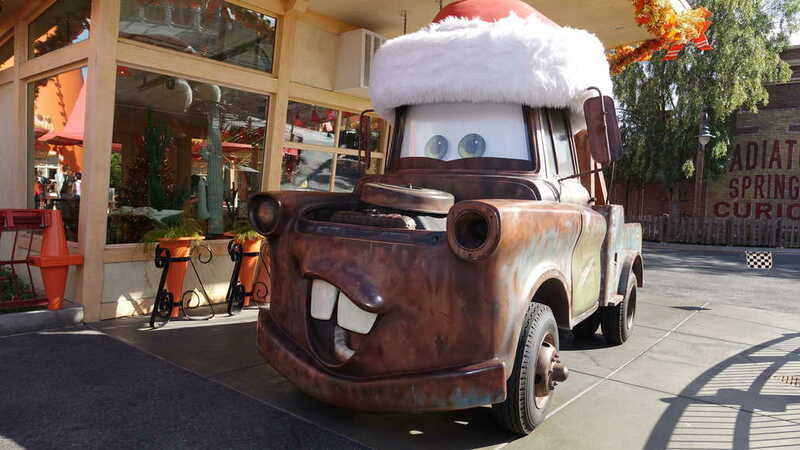 Mater even wears a Santa hat for Christmas. 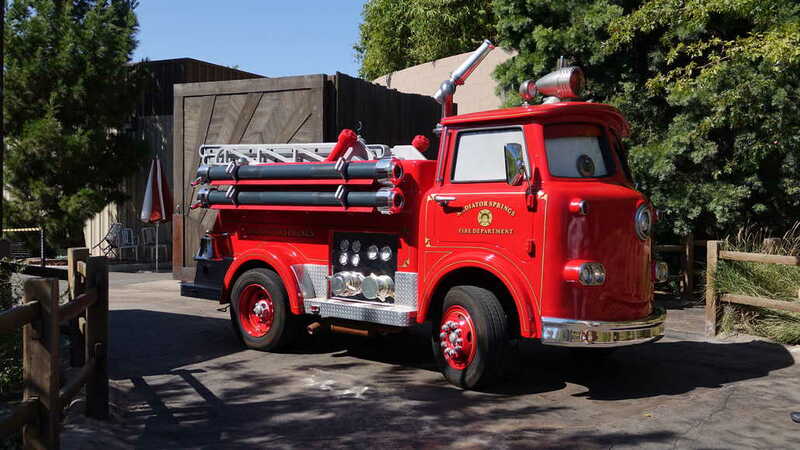 Red and DJ have never appeared in Disney World and Lightning and Mater recently retired. I’ve often located Cruella in Town Square in Disneyland. She tends to roam around, but a polite request may stop her for a moment, especially if you want to discuss poopies, um puppies. 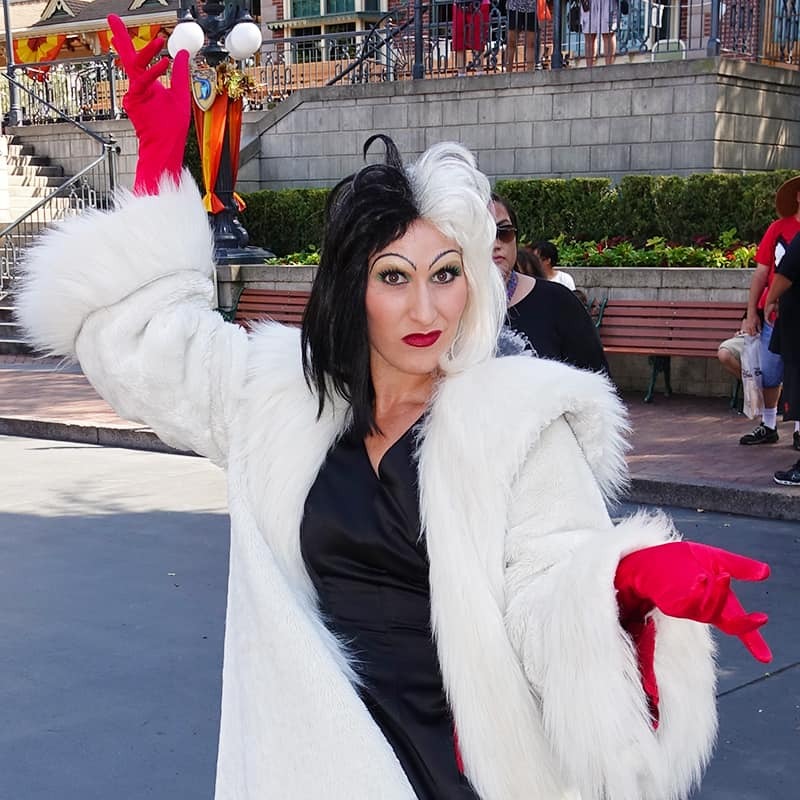 Cruella has recently only appeared for the Halloween Party in Disney World. 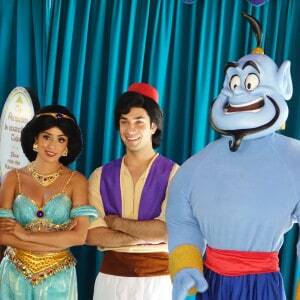 Genie appears often in Adventureland in Disneyland with Aladdin and or Jasmine or alone. He is pretty common these days. Genie also appeared for Mickey’s Halloween Party in Disneyland. Genie is rare in Disney World. He is found at the Halloween and Christmas Parties and might appear at Character Palooza. On rare occasions, he’ll pop up in Adventureland in the Magic Kingdom. 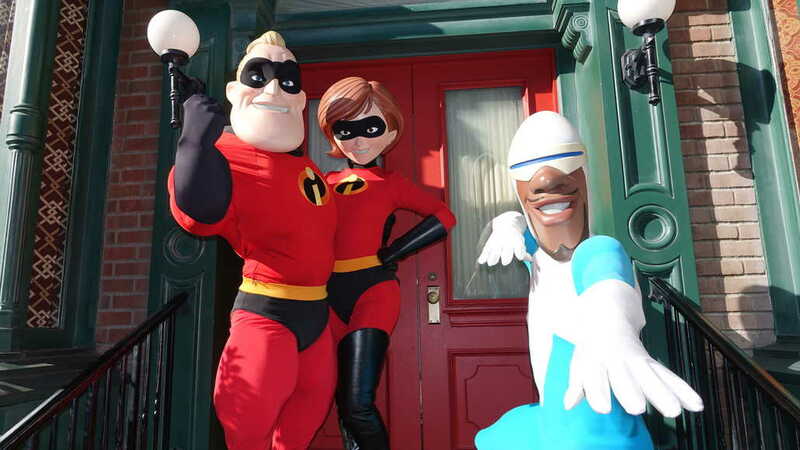 Incredibles have stopped meeting in California Adventure since Spiderman and Captain America moved over. You can find Mr. and Mrs. Incredible and Frozone in California Adventure. You’ll see them on the end of Sunset across from the Hyperion theater. It’s a bit out of the way, so many people never see them. Incredibles can only be found at the #incrediblessuperdanceparty (yes that’s the official name) in the Magic Kingdom in Disney World since they were removed from Hollywood Studios. You cannot get autographs at the dance party and they usually don’t pose. Kenai is found daily for breakfast at Storyteller’s Cafe inside Disney’s Grand Californian Hotel. It’s extremely rare to find Koda or Kenai in Disney World these days. 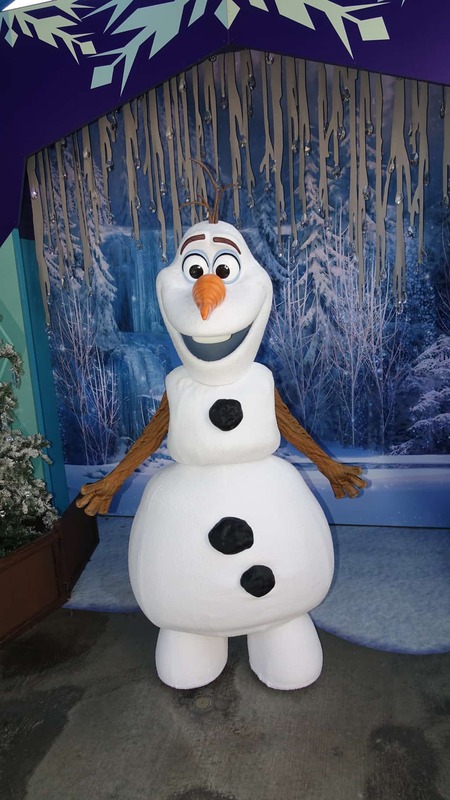 Olaf was added to Hollywood Studios after this article was written! Olaf can be found in Hollywood Land in California Adventure. During Christmas, he offered a complete snow zone, but he usually meets outside a sound stage between the Frozen Sing-Along and Monsters Inc ride. I have rarely waited more than 15 minutes to meet him. He has never offered an official meet in Disney World. He appears in some shows and parades occasionally. Oswald is another character who has never appeared in Walt Disney World for a regular meet and greet. He appears daily in California Adventure. You’ll find him as you enter the park. His published schedule often mentions morning meets, but I’ve never found him before Noon. He rarely has a long line. She is often referred to as “Evil Queen” or “Snow White’s Queen.” She appears most days in Disneyland’s Fantasyland section. I’ve often found her near the restrooms behind the Alice in Wonderland ride. She is popular when she appears and her line often closes quickly. 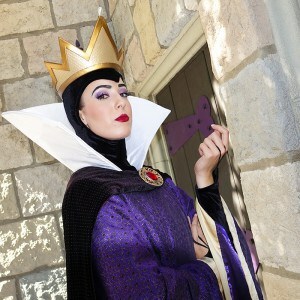 She is only found in Disney World for meets at Character Palooza. Guests can find Spiderman in California Adventure in Disneyland daily. He is a popular character and can have long lines, so arrive early. His current contract prohibits him from meeting in Disney World. Instead, he is available in Islands of Adventure in Universal Orlando. 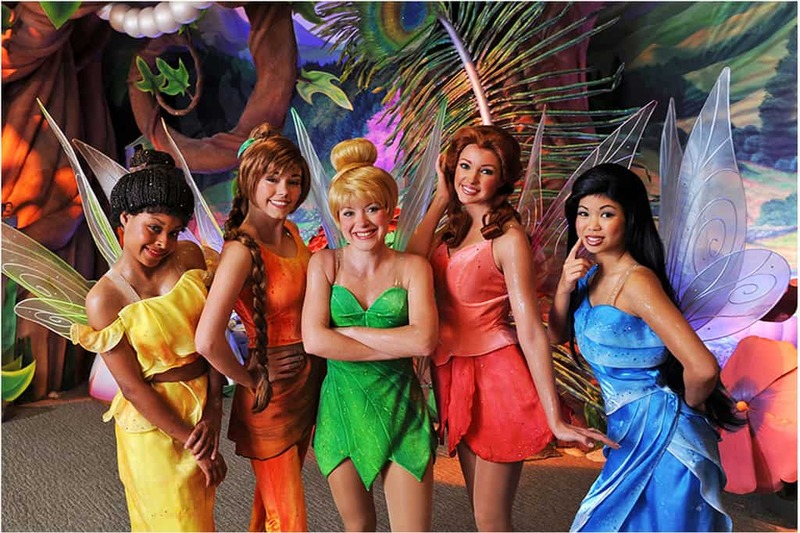 In Disney World tinker Bell appears alone. In Disneyland, she shares her Pixie Hollow space with some of her Fairy Friends like Fawn, Rosetta, Silvermist and Iridessa. Vidia, Terance and Periwinkle are rare or non-existent. Just FTR, Tink’s fairy friends have gone back to Pixie Hollow. She no longer has friends with her, even at Disneyland. The last time we saw her with a friend was October – our three trips there this year, she’s been alone. Actually they do still appear, just not daily. Met Rosetta a few days ago. As of the end of February, Mr & Mrs Incredible were out in DCA. They were on the street, between the Animation Academy and the Theater. I’m aware of that :) Article was written well before that occured. The one character that I’ve never seen at Disneyland is the Old Hag. She is my mother’s favorite and we were delighted when we finally saw her at Disney World’s Not So Scary Halloween Party. Does she ever appear at Disneyland? Any thoughts on how/when to see Thumper at a meet & greet? That elusive wabbit’s the top of my bucket list. I really wish they had Robin Hood. We don’t go often but we’ve seen the Genie and the Incredibles multiple times. Thumper is super rare at Disneyland. Incredibles were removed when they added Nick and Judy. Genie appears daily in Adventureland. I went to Disney land very recently actually I think in Decenber as soon as we entered a Marie from Aristocats was at the entrance along with Pinocchio and Timon is This normal? Also I heard Phineas and Ferb are retired along with Mater,Lightning and soon Mike and Sulley do you know why is this and who is taking their spots and why is Carl fredrickson now rare I saw him recently as well? That’s funny. I wonder why he was there that day. No, the Mad Hatter wasn’t there. We had Alice, Mary, Bert and I think some Winnie the Pooh characters? It was a really odd mix for sure. Bert was subbing for Mad Hatter then. Does Pinocchio still meet regularly at Disneyland? 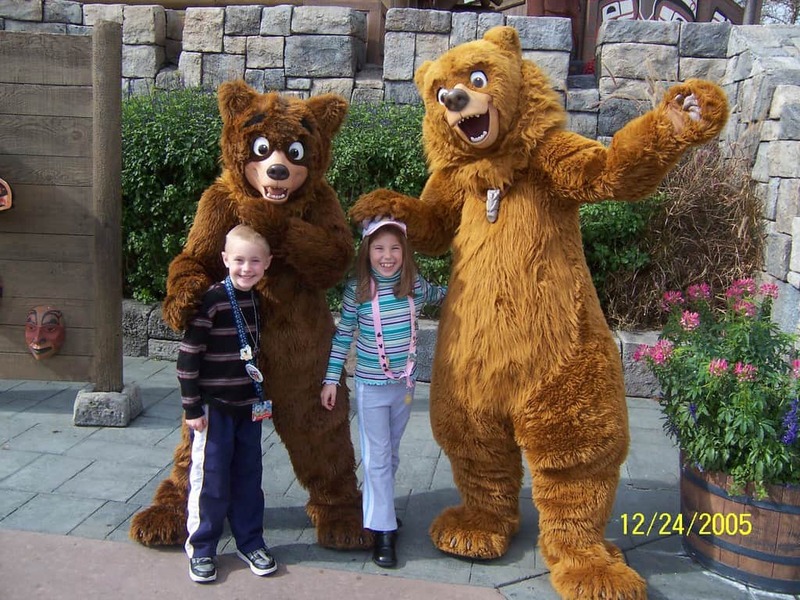 Since the closure of Streets of America, what are the only other places that character palooza? Thanks! We have actually met 13 of these characters! We are pretty lucky in the character finding department! We once met Timon at Magic Kingdom in just a random pop up meet in 2014. I once very randomly saw Cruella in Epcot at a random gate. It was very random and she was hiding. It was very odd. But I snapped a pic with her. Does Characterpalooza still happen at Walt Disney World or Disneyland. I thought it had stopped st WDW but could be mistaken. “Robin Hood” & ALL the “Aristocats” characters along with Colonel Hathi, Mowgli, and *regular* daily appearances by Clara Cluck, Three Little Pigs, Horace Horsecollar, Clarabelle Cow, etc. You forgot to mention Marie from The Aristocats. 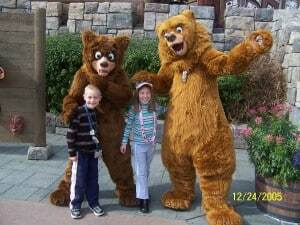 She currently does meet and greets at Walt Disney World in the Magic Kingdom (Formerly at Epcot in the France Pavilion) since 2009. 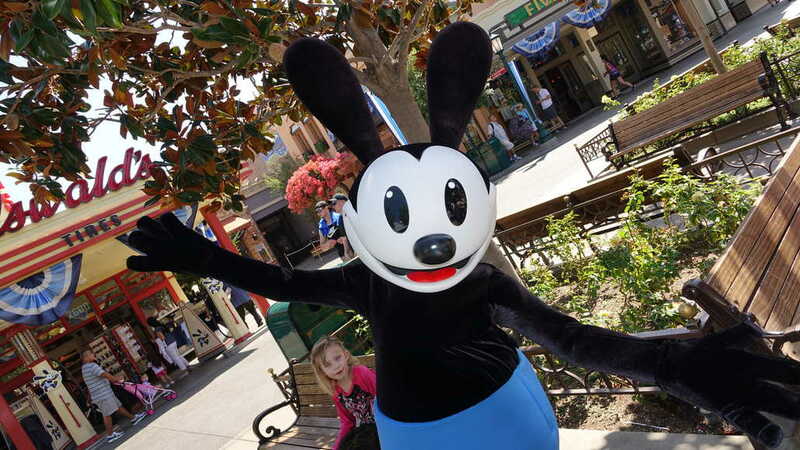 The only time Marie showed up at Disneyland Resort was from 2012 – 2014 at DCA’s “Dancing With Disney” dance party. I wish Marie could meet guests at Disneyland since she’s very common at Walt Disney World, Disneyland, Paris, and Tokyo Disney Resort. 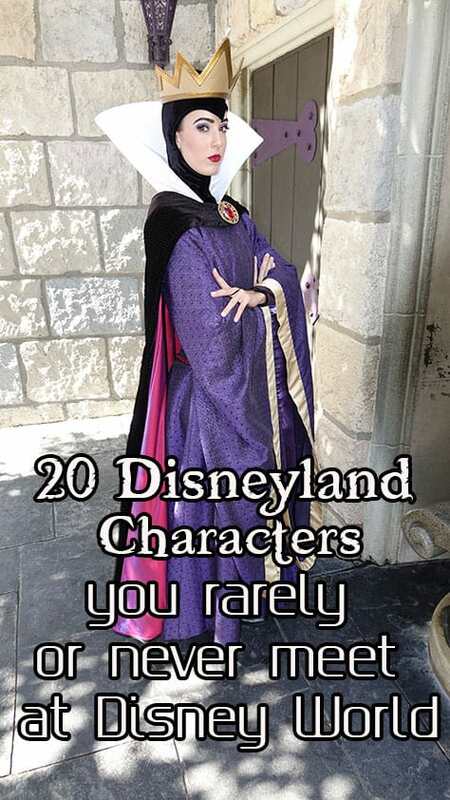 List is characters at Disneyland that are rare in Disney World, not other way around.